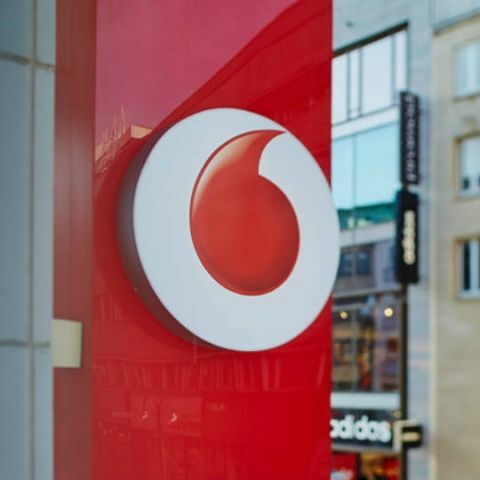 Vodafone is offering Rs 100 off on the recharge and Vodafone RED consumers will get 90GB 4G data over a period of six months. users will also receive an additional 5GB data per month. After Jio announced its plans for the Diwali, Vodafone has followed suit and has announced a new data plan priced at Rs 499 for its Vodafone RED postpaid customers. Only postpaid users are eligible for the recharge and Vodafone is also offering a Rs 100 discount on it, which brings down the effective price of the plan to Rs 399. After subscribing to the Rs 499 plan, subscribers will get 90GB of 4G data with unlimited calling for six months. The 90GB data is distributed across a period of six months, with 15GB of data allowance per month. An additional 5GB of data is also included as "Vodafone WiFi", which consumers can use at Vodafone WiFi hotspots. The Rs 499 RED postpaid plan is confirmed for Vodafone's Delhi NCR region but could vary for other circles. Apart from the Rs 499 plan, Vodafone is also offering various RED plans ranging from Rs 399 to Rs 2,999 to suit the needs of their users. The Rs 499 plan by Vodafone comes after Jio announced its special Diwali “Dhan Dhana Dhan” offer which is priced at Rs 399. Jio is offering 100 percent cashback on the plan in the form of 8 vouchers. Each voucher is worth Rs 50 and can be redeemed on Jio stores, MyJio app, Jio.com, Reliance Digital stores, Jio’s partner retailers, and through services like PayTM, Amazon Pay, JioMoney, PhonePe and Mobikwik. Vodafone and Idea are also rumoured to be working on their own 4G-enabled low cost smartphone to rival the JioPhone. They are reportedly in talks with Lava and Karbonn to manufacture the device. Airtel has also recently announced their Karbonn A40 Indian smartphone in partnership with Karbonn Mobiles at a price of Rs 1,399. As opposed to the JioPhone, the Karbonn A40 Indian is a 4G enabled smartphone running on Android Nougat. You can learn more about the Karbonn A40 Indian mobile phone here.